Aero Express is an Authorized Distributor for the Barfield 2548H Test Set. Aero Express will buy, sell and trade the 2548H depending on your needs. 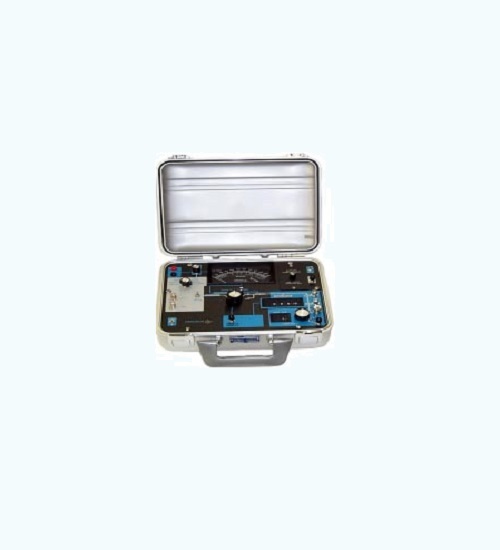 The 2548H Fuel Quantity Test Set is a universal tester for AC Capacitance type systems. It is OEM accuracy and safety approved and requires no external power. It meets or exceeds the range, accuracy and safety requirements for fuel quantity systems up to 1000 pF and is designed to operate with guarded capacitance type systems. The tester can measure and simulate tank capacitance from 0.1 to 999.9 pF. It can measure insulation breakdown from 50 KW to 5000 M.W with an accuracy of ± 5% of reading nominal. The 2548H is a small, self-contained, battery powered, analog test set which can measure system insulation, capacitance, and simulate current to drive mA style indicators. The unit is small enough to use in confined places but accurate enough to use as a bench tester. Express Calibration is an Authorized ISO-17025 Calibration and Repair shop for the Barfield 2548H. Visit www.expresscal.com for full capabilities.